CENTRAL CITY – Bryan Vaughn, 44 of Central City, died Thursday, June 19, 2014. 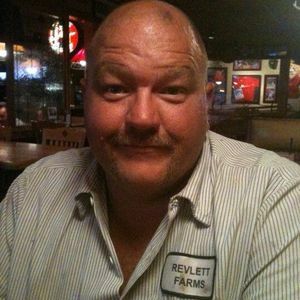 Mr. Vaughn was born February 18, 1970 in McCracken County, and was a mechanic at Revlett Grain Farm and a veteran of the Army. Survivors include his daughter, Ryan Rene (Shane) Rizzo of Marion, KY; father and step mother, Charles and Pat Vaughn of Ledbetter, KY; mother, Ann Chapman of Central City; brother, Jerry Vaught of Ledbetter, KY ; sisters, Debbie (Glenn) Mohon of White House, TN, Kellie (Mark) Russell of Paducah, KY; step brother, Todd (Michelle) Ferren of Paducah, KY; nephews and nieces, Josh Mohon, Leilanee Ferren, Gabe Russell, Kathan Ferren; many loved aunts, uncles, and cousins. 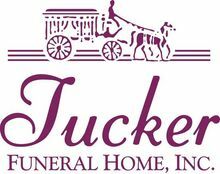 Funeral services will be held at 1:00 PM Monday, June 23, 2014 at Tucker Funeral Home in Central City with Rev. J.W. Haire officiating with burial to follow in Rose Hill Cemetery. Visitation for Mr. Vaughn will be Sunday, June 22, 2014 at 5:00 PM at the funeral home. The beautiful and interactive Eternal Tribute tells Bryan's life story the way it deserves to be told in words, pictures and video. I am so sorry to hear of the loss od Bryan. May God above watch over you during your time of sorrow. If I can do anything please let me know. Tou are in my prayers. Charlie, Thana and family, I am so sorry to hear of your loss of your son and nephew Bryan. Please know that you are in our thoughts and prayers. May God comfort the family. One of the kindest people anyone could ever meet. R.I.P. Brian,only the good die young, God took one of the best when he took you.I was blessed to know him.He will be greatly missed. My thoughts and prayers are with you and everyone through this difficult time. No words can express the sympathy I feel for you and your family. If there is anything you need, please let me know. I love you all. Ann and family my heart and prayers go out to you at this time. Bryan was a very special man whom I've known for years. There are no words at this time to ease your pain or grief. I will be praying for you all and and share the sadness in the loss of Bryan. He will be missed so very much. Ann if there is any thing you should need please let me know. I didn't want to believe it when I got the news that Bryan is gone... He was a good man.. We shared a lot of the same likes of things... I pray that God will be with Bryan's mom and his daughter and the rest of the family to bring them comfort... I love you Ann & Ryan..